Why Is Processed Meat Bad For Your Health? 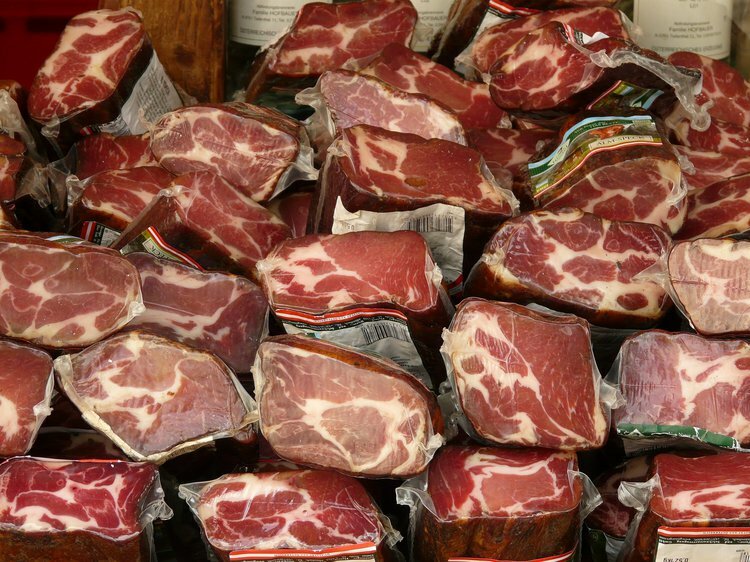 Processed meat is meat that has been preserved by curing, salting, smoking, drying or canning. Sodium nitrate preservative that's used in some processed meats, such as ham and bacon. Generally, it is not uncommon to be unaware of the health risks of consuming too much processed meat. Until recently, there were not many studies conducted to confirm their hazard to health such as their correlation to cardiovascular disease, cancer, and diabetes. In order to understand how processed meat can negatively affect your health, it is important to understand what processed meats are. The American Institute for Cancer Research describes processed meat as “meat preserved by smoking, curing, or salting, or addition of chemical preservatives.” Some examples of processed meats include bacon, ham, sausage, deli meats, and hot dogs. The Harvard School of Public Health conducted a study in 2010 that discovered that consuming processed meats is linked to a 42% increased risk for heart disease; and if that is not enough, a 19% increased risk for type 2 diabetes. There were no statistically significant variances between specific processed red meats and total mortality. Nonetheless, hot dogs and bacon were associated with a higher risk than other unprocessed meats. In the same study, it was evaluated that processed meats contain approximately 4 times more sodium and 50% more nitrate preservatives. This information implied that the differences in salt and preservative concentration, not fats, possibly described the increased risk of heart disease and diabetes due to processed meats. This factor however, does not apply to unprocessed red meat. The Harvard School of Public Health completed the study in 2012 concluding that even small portions of processed meat consumed on a regular basis has a significant correlation with an increase for colorectal cancer, cancer mortality, and cardiovascular disease. Due to these severe risks, it is recommended that these foods be avoided. The causal link between increased risk for colorectal cancer and regular processed meat consumption is not yet defined; nevertheless, several mechanisms are currently being researched. Nitrates are usually added to processed meats to preserve their color or to prevent them from spoiling. It has been found through research studies that these nitrate compounds form cancer-causing compounds, called carcinogens. Smoked, processed meats contain a substance called PAH, or polycystic aromatic hydrocarbon, which are produced with high temperatures and can cause cancer. Meat that is cooked at a high temperature may also contain PAH, as well as heterocyclic amines (HCAs). These substances are known to damage DNA. It has been researched that the iron found in red meats may damage the lining of the colon (large intestine). Renata Micha, a research fellow in the Department of Epidemiology at the Harvard School of Public Health, advises that based upon these findings, eating one serving of processed meats per week or less would be related to a little risk for heart disease or diabetes. Due to all of the health risks associated with processed meats, it may be concluded that processed meats should be avoided, to the extent possible. The increased risk of heart disease, cancer, and diabetes from eating processed meats alone should be enough to steer you away from that particularly savory piece of bacon. Pan A, Sun Q, Bernstein AM, et al. Red Meat Consumption and Mortality: Results From 2 Prospective Cohort Studies. Arch Intern Med. 2012;172(7):555-563. Micha R, Wallace S, Mozaffarian D. Red and Processed Meat Consumption and Risk of Incident Coronary Heart Disease, Stroke, and Diabetes Mellitus: A Systematic Review and Meta-Analysis. Circulation. 2010;121(21):2271-2283. Vang, A., Singh, P. N., Lee, J. W., Haddad, E. H., & Brinegar, C. H. (2008). Meats, processed meats, obesity, weight gain and occurrence of diabetes among adults: findings from Adventist Health Studies. Annals of Nutrition and Metabolism, 52(2), 96-104. Micha, R., Michas, G., & Mozaffarian, D. (2012). Unprocessed red and processed meats and risk of coronary artery disease and type 2 diabetes–an updated review of the evidence. Current atherosclerosis reports, 14(6), 515-524. Toldra, F., & Reig, M. (2011). Innovations for healthier processed meats.Trends in Food Science & Technology, 22(9), 517-522. Micha, R., Wallace, S. K., & Mozaffarian, D. (2010). Red and processed meat consumption and risk of incident coronary heart disease, stroke, and diabetes mellitus a systematic review and meta-analysis. Circulation,121(21), 2271-2283. Cross, A. J., & Sinha, R. (2004). Meat‐related mutagens/carcinogens in the etiology of colorectal cancer. Environmental and molecular mutagenesis,44(1), 44-55.